Permanent AMT patch. The Act increases the exemption amounts for 2012 to $50,600 (individuals) and $78,750 (married filing jointly) and indexes the exemption and phaseout amounts thereafter. The Act also allows the nonrefundable personal credits against the AMT. 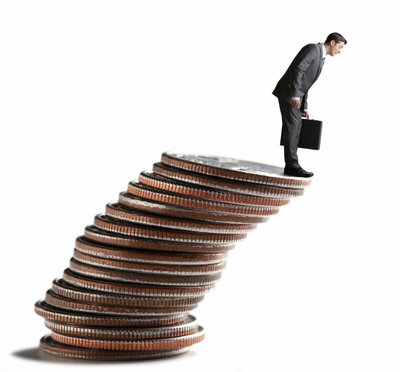 The provision is effective for taxable years beginning after December 31, 2011. Permanently extend the 10% bracket. The Act extends the 10% individual income tax bracket for taxable years beginning after December 31, 2012. Permanently extend the 25%, 28%, and 33% income tax rates. The Act extends the 25%, 28%, 33% rates on income at or below $400,000 (individual filers), $425,000 (heads of households) and $450,000 (married filing jointly) for taxable years beginning after December 31, 2012. Permanently repeal the Personal Exemption Phaseout for certain taxpayers. Due to the Personal Exemption Phase-out (“PEP”), the exemptions are phased out for taxpayers with AGI above a certain level. The Economic Growth and Tax Relief Reconciliation Act of 2001 (EGTRRA) repealed PEP for 2010. The Tax Relief, Unemployment Insurance Reauthorization and Job Creation Act of 2010 (TRUIRJCA) extended the repeal through 2012. The Act extends the repeal of PEP on income at or below $250,000 (individual filers), $275,000 (heads of households) and $300,000 (married filing jointly) for taxable years beginning after December 31, 2012. Permanently repeal the itemized deduction limitation for certain taxpayers. Since 1991, the amount of itemized deductions that a taxpayer may claim has been reduced, to the extent the taxpayer’s AGI is above a certain amount. This limitation is generally known as the “Pease limitation.” The EGTRRA repealed the Pease limitation on itemized deductions for 2010. The TRUIRJCA extended the repeal through 2012. The Act extends the repeal of the Pease limitation on income at or below$250,000 (individual filers), $275,000 (heads of households) and $300,000 (married filing jointly) for taxable years beginning after December 31, 2012. Permanently extend the capital gains and dividend rates. Under current law, the capital gains and dividend rates for taxpayers below the 25% bracket is equal to zero percent. For those in the 25% bracket and above, the capital gains and dividend rates are currently 15%. These rates expire at the end of 2012. Upon expiration, the rates for capital gains become 10% and 20%, respectively, and dividends are subject to the ordinary income rates. The Act extends the current capital gains and dividends rates on income at or below $400,000 (individual filers), $425,000 (heads of households) and $450,000 (married filing jointly) for taxable years beginning after December 31, 2012. For income in excess of $400,000 (individual filers), $425,000 (heads of households) and $450,000 (married filing jointly), the rate for both capital gains and dividends will be 20%. Permanently extend the 2001 modifications to the child tax credit. The EGTRRA increased the child tax credit from $500 to $1,000 and expanded refundability. The amount that may be claimed as a refund was 15% of earnings above $10,000. The Act extends this provision for taxable years beginning after December 31, 2012. Permanently extend marriage penalty relief. The Act extends the marriage penalty relief for the standard deduction, the 15% bracket, and the EITC for taxable years beginning after December 31, 2012. Permanently extend expanded Coverdell Accounts. The EGTRRA increased the annual contribution limits to Coverdell Education Savings Accounts from $500 to $2,000 and expanded the definition of education expenses to include elementary and secondary school expenses. 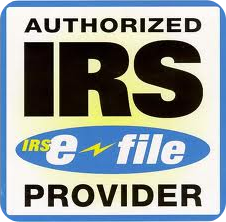 The Act extends the changes to Coverdell accounts for taxable years beginning after December 31, 2012. Permanently extend the expanded exclusion for employer-provided educational assistance. An employee may exclude from gross income up to $5,250 for income and employment tax purposes per year of employer-provided education assistance. Prior to 2001, this incentive was temporary and only applied to undergraduate courses. The EGTRRA expanded this provision to graduate education and extended the provision for undergraduate and graduate education. The Act extends the changes to this provision for taxable years beginning after December 31, 2012. Permanently extend the expanded student loan interest deduction. Subject to some limitations, individuals who have paid interest on qualified education loans may claim an above-the-line deduction for such interest expenses up to $2,500. Prior to 2001, this benefit was only allowed for 60 months and phased-out for taxpayers with income between $40,000 and $55,000 ($60,000 and $75,000 for joint filers). The EGTRRA eliminated the 60-month rule and increased the income phase-out to $55,000 to $70,000 ($110,000 and $140,000 for joint filers). The Act extends the changes to this provision for taxable years beginning after December 31, 2012. Permanently extend the expanded dependent care credit. The EGTRRA increased the amount of expenses eligible for the dependent care credit from $2,400 for one child and $4,800 for two or more children to $3,000 and $6,000, respectively. The EGTRRA also increased the applicable percentage from 30% to 35%. The Act extends the changes to the dependent care credit made by EGTRRA for taxable years beginning after December 31, 2012. Permanent estate, gift and generation skipping transfer tax relief. The EGTRRA phased-out the estate and generation-skipping transfer taxes so that they were fully repealed in 2010, and lowered the gift tax rate to 35 percent and increased the gift tax exemption to $1 million for 2010. In 2010, the TRUIRJCA set the exemption at $5 million per person with a top tax rate of 35 percent for the estate, gift, and generation skipping transfer taxes for two years, through 2012. The exemption amount was indexed beginning in 2012. The Act makes permanent the indexed TRUIRJCA exclusion amount and indexes that amount for inflation going forward, but sets the top tax rate to 40 percent for estates of decedents dying after December 31, 2012. Temporarily extend the American Opportunity Tax Credit. Created under the American Recovery and Reinvestment Act of 2009 (ARRA), the American Opportunity Tax Credit is available for up to $2,500 of the cost of tuition and related expenses paid during the taxable year. Under this tax credit, taxpayers receive a tax credit based on 100% of the first $2,000 of tuition and related expenses (including course materials) paid during the taxable year and 25% of the next $2,000 of tuition and related expenses paid during the taxable year. Forty percent of the credit is refundable. This tax credit is subject to a phase-out for taxpayers with adjusted gross income in excess of $80,000 ($160,000 for married couples filing jointly). The Act extends the American Opportunity Tax Credit for five additional years, through 2017. Temporarily extend the 2009 modifications to the child tax credit. The ARRA provided that earnings above $3,000 would count towards refundability. The Act extends the ARRA child tax credit expansion for five additional years, through 2017. Temporarily extend third-child EITC. Under current law, working families with two or more children currently qualify for an earned income tax credit equal to 40% of the family’s first $12,570 of earned income. The ARRA increased the earned income tax credit to 45% for families with three or more children and increased the beginning point of the phase-out range for all married couples filing a joint return (regardless of the number of children) to lessen the marriage penalty. The Act extends for five additional years, through 2017, the ARRA expansions that increased the EITC for families with three or more children and increased the phase-out range for all married couples filing a joint return. Deduction for certain expenses of elementary and secondary school teachers. The Act extends for two years the $250 above-the-line tax deduction for teachers and other school professionals for expenses paid or incurred for books, supplies (other than non-athletic supplies for courses of instruction in health or physical education), computer equipment (including related software and service), other equipment, and supplementary materials used by the educator in the classroom. Mortgage Debt Relief. Under current law, taxpayers who have mortgage debt canceled or forgiven after 2012 may be required to pay taxes on that amount as taxable income. Under this provision, up to $2 million of forgiven debt is eligible to be excluded from income ($1 million if married filing separately) through tax year 2013. Employer-provided mass transit and parking benefits. The Act extends through 2013 the increase in the monthly exclusion for employer-provided transit and vanpool benefits from $125 to $240, so that it would be the same as the exclusion for employer-provided parking benefits. Premiums for mortgage insurance deductible as interest that is qualified residence interest. The provision extends the ability to deduct the cost of mortgage insurance on a qualified personal residence. The deduction is phased-out ratably by 10% for each $1,000 by which the taxpayer’s AGI exceeds $100,000. The Act extends this provision for two additional years, through 2013. Deduction for state and local general sales taxes. The Act extends for two years the election to take an itemized deduction for State and local general sales taxes in lieu of the itemized deduction permitted for State and local income taxes. Special rules for contributions of capital gain real property made for conservation purposes. The Act extends for two years the increased contribution limits and carryforward period for contributions of appreciated real property (including partial interests in real property) for conservation purposes. Above-the-line deduction for qualified tuition related expenses. The Economic Growth and Tax Relief Reconciliation Act (EGTRRA) created an above-the-line tax deduction for qualified higher education expenses. The maximum deduction was $4,000 for taxpayers with AGI of $65,000 or less ($130,000 for joint returns) or $2,000 for taxpayers with AGI of $80,000 or less ($160,000 for joint returns). The Act extends the deduction to the end of 2013. Tax-free distributions from individual retirement plan for charitable purposes. The Act extends for two years the provision that permits tax-free distributions to charity from an Individual Retirement Arrangement (IRA) held by someone age 70½ or older of up to $100,000 per taxpayer, per taxable year. The provision contains a transition rule under which an individual can make a rollover during January of 2013 and have it count as a 2012 rollover. Also, individuals who took a distribution in December of 2012 will be able to contribute that amount to a charity and count as an eligible charitable rollover to the extent it otherwise meets the requirements for an eligible charitable rollover. Disclosure of prisoner return information to certain prison officials. The IRS is authorized to disclose certain limited return information about tax violations identified by the IRS, so that prison officials could punish and deter the prisoner’s conduct through administrative sanctions. The provision expired on December 31, 2011. The Act makes the provision permanent. It also modifies and expands the provision to permit disclosure of the actual tax return as well as tax return information, allow disclosure to prison officials directly, expand disclosure to include private contractors administering prisons, and provide disclosure to representatives of the prisoners. The Act makes the provision permanent. 15-year straight-line cost recovery for qualified leasehold improvements, qualified restaurant buildings and improvements, and qualified retail improvements. The Act extends through 2013 the temporary 15-year cost recovery period for certain leasehold, restaurant, and retail improvements, and new restaurant buildings, which are placed in service before January 1, 2014. The extension is effective for qualified property placed in service after December 31, 2011. Under current law, a taxpayer with a sufficiently small amount of annual investment may elect to deduct the cost of certain property placed in service for the year rather than depreciate those costs over time. The 2003 tax cuts temporarily increased the maximum dollar amount that may be deducted from $25,000 to $100,000. The tax cuts also increased the phase-out amount from $200,000 to $400,000. The Act increases the maximum amount and phase-out threshold in 2012 and 2013 to the levels in effect in 2010 and 2011 ($500,000 and $2 million respectively). Within those thresholds, the Act also allows a taxpayer to expense up to $250,000 of the cost of qualified leasehold improvement property, qualified restaurant property, and qualified retail improvement property. This provision expires at the end of 2013 and the amounts revert to $25,000 and $200,000, respectively. Bonus depreciation. Under current law, businesses are allowed to recover the cost of capital expenditures over time according to a depreciation schedule. For 2008 through 2010, Congress allowed businesses to take an additional depreciation deduction allowance equal to 50 percent of the cost of the depreciable property. The TRUIRJCA expanded this provision to allow 100 percent bonus depreciation for investments placed in service after September 8, 2010 and before 2012 and 50 percent bonus depreciation for investments placed in service during 2012. This provision extends the current 50 percent expensing provision for qualifying property purchased and placed in service before January 1, 2014 (before January 1, 2015 for certain longer-lived and transportation assets) and also allow taxpayers to elect to accelerate some AMT credits in lieu of bonus depreciation. Tax credit for research and experimentation expenses. The Act extends for two years, through 2013, the research tax credit equal to 20 percent of the amount by which a taxpayer’s qualified research expenses for a taxable year exceed its base amount for that year and provides an alternative simplified credit of 14 percent. The Act also modifies rules for taxpayers under common control and rules for computing the credit when a portion of a trade or business changes hands.